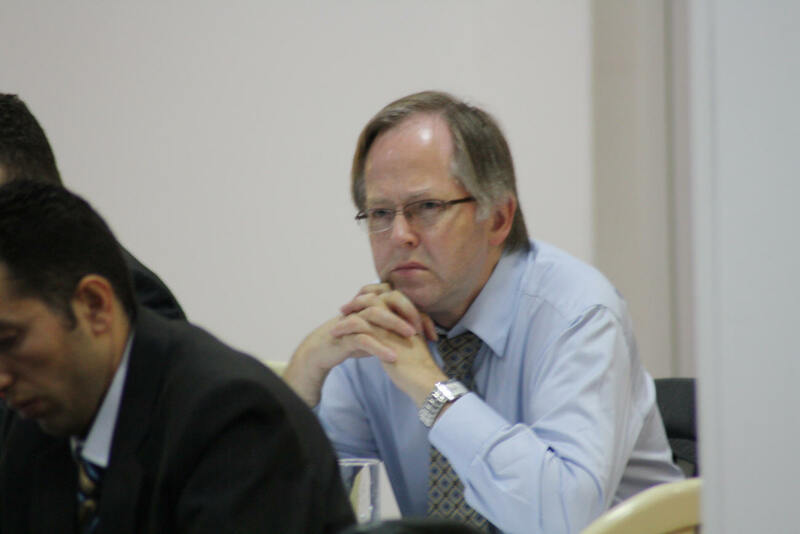 Prof. James Pettifer - an extensively published scholar on Albanian and Balkans affairs, an internationally acclaimed historian, and faculty member at Oxford, Princeton and currently professor at the United Kingdom Defense Academy. 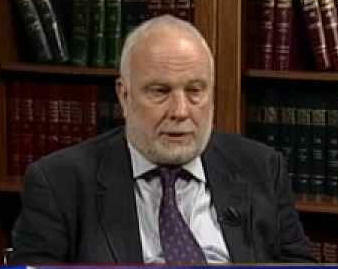 For more info on Prof. Pettifer, click here. Dr. Finn Laursen - recently named Jean Monnet Chair ad personam by the European Commission, an extensively published scholar on European integration and EU studies and professor of political science and Canada Research Chair in EU Studies at Dalhousie University. For more info on Dr. Laursen, click here. 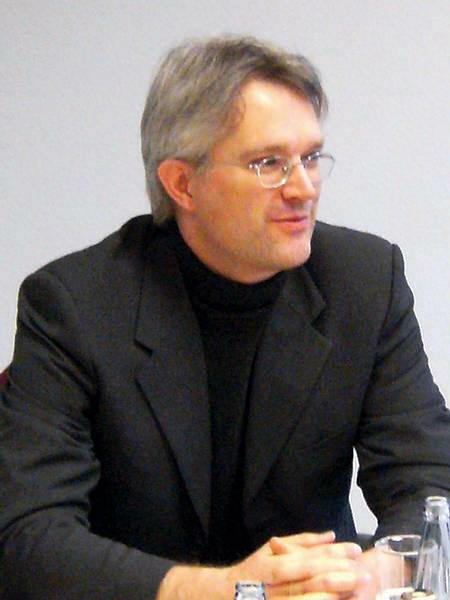 Dr. Konrad Clewing - Deputy Director and Researcher at the Sudost-Institut in Regensburg, Germany, a Southeastern European affairs scholar, and author on Kosovo's conflict. 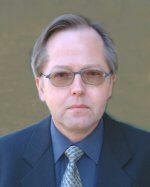 For more info on Dr. Clewing, click here. As the enlargement of the EU continues to be a hot topic of discussion in many oval offices in the old continent, the ancient peoples of the Balkans look forward to this unique opportunity. The prospects of the Western Balkans* countries for EU integration, and the role of the EU intuitions in this process will be the theme of the first public policy international conference organized jointly by the Kosovo Public Policy Center, the American University in Kosovo Research Center, and the Victory University College, Prishtina, Kosovo. Among EU member states, there are those who believe that further enlargement of the Union is necessary and indeed beneficial for the future of the EU as a whole and the Western Balkans countries provide an opportunity for such enlargement. On the other hand, there are also those who see the integration process of the Western Balkans countries as a challenge for the future of the EU. In light of Kosovo’s independence and its recognition by all but five EU members (Cyprus, Greece, Romania, Slovakia, Spain), this divide about the future of the EU and Western Balkans prospects for accession becomes even more important. As to how Western Balkans countries can move closer to becoming members of the EU family and how the EU can help to facilitate this process are some of the key questions that are yet to be fully answered. 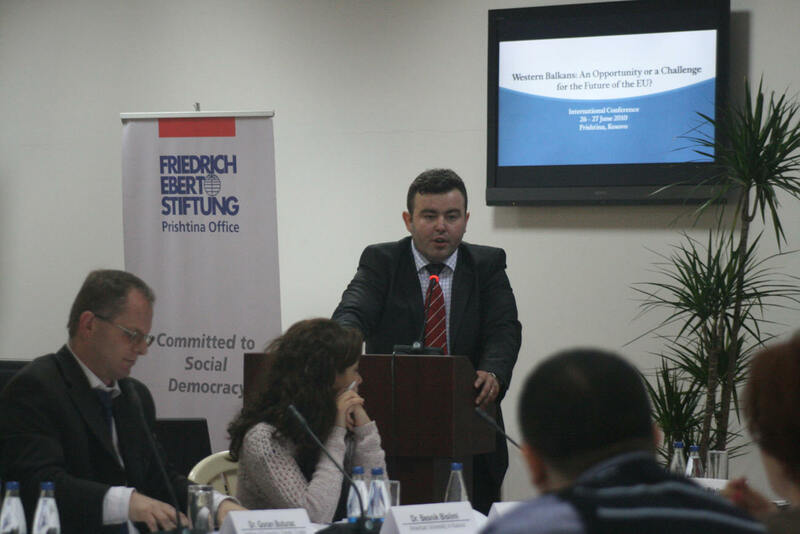 What are key policies that Western Balkans countries that aspire to join the EU are to undertake and how to do so? Depending on the number of accepted proposals for paper presentations, there will be between four and six panel sessions. Papers will be grouped into sessions based on their topic, theoretical frameworks, and methodologies used. A list of guest speakers and honorary speakers will be announced in May 2010. A select number of papers and abstracts of all papers accepted for presentation at the conference will be published in the first, special edition of the Western Balkans Policy Review, a semi-annual, peer-reviewed scholarly journal. The first edition of the WBP Review is scheduled to come out in time for the conference. For more information on the WBP Review, please click here. The Kosovo Public Policy Center wishes to invite all scholars and especially graduate students (registered in an MA or PhD program) and recent post-graduates, with an interest in Western Balkans and public policy to submit abstracts for consideration for the first annual KPPC conference and the first edition of the Western Balkans Policy Review. The deadline for abstract submission is April 30, 2010. Authors of selected abstracts will have to submit their full papers by May 31, 2010. All abstracts must be in English, typed, and submitted via email as a .DOC (MS Word) or PDF attachment, using Times New Roman font, size 12 pt, 1 inch margins, double-spaced. Each abstract should be between 300 and 400 words (max). Each abstract should include the full name, affiliation, academic background and contact details of the author. A CV of the author may also be submitted. Individual or group authored abstracts will be considered. An academic committee consisting of university professors will be called upon to review all abstracts and select papers for presentation at the conference. Please note that there is no fee to attend or present at this conference, thanks to the generous commitment of the organizers. The organizers are working intensively to find sponsors, however, to financially help presenters from developing countries to cover their travel and accommodation expenses. As funds become available, adequate announcements will be made on this site. The organizers also plan to take all conference presenters on a tour of Kosovo, provided that funds permit. 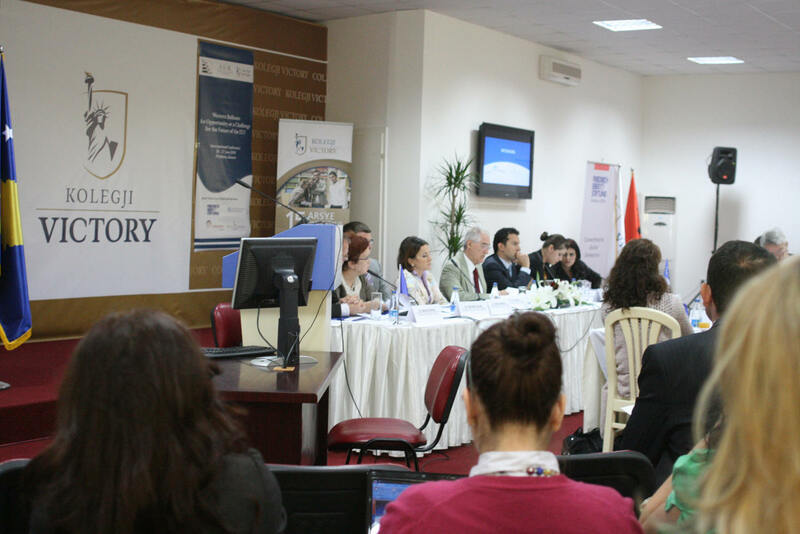 So far the conference has earned the support of Friedrich Ebert Stiftung, Pro Credit Bank and Hotel Victory. All selected presenters and interested participants from abroad will be given practical information as to best travel options to Prishtina, Kosovo. Hotel accommodation will be offered at a discounted rate for all conference participants. More details will have now been published on this page under the Practical Information section. Because of the importance of the conference topic and the unique opportunity to get yourself published, the organizers hope to have a great number of you in Prishtina, Kosovo in June 2010. * For the purposes of the conference, Western Balkans countries include: Albania, Bosnia and Herzegovina, Croatia, Kosovo, Macedonia, Montenegro, Serbia. Papers focusing on Turkey will also be considered. To read our Press Release issued on 19 April 2010 to publicly acknowledge these sponsors, please click here. 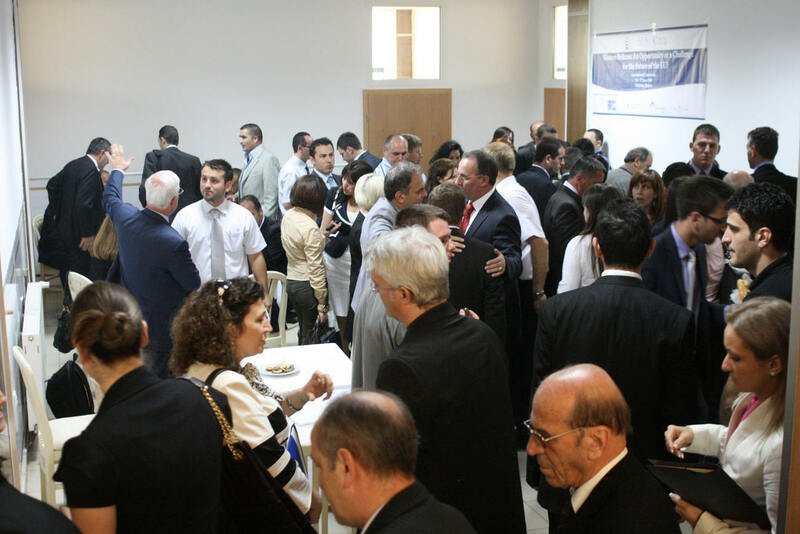 On 18 June 2010, Kosovo Foundation for Open Society decided to support the conference, too. We appreciate their support very much! We hope that the Academic Committee of the conference will announce selected paper presenters for the conference very soon after the deadline for abstract submission of April 30 passes. In the meantime, we are providing the following practical information for all those interested in attending the conference. If you are flying into Kosovo, please note that Kosovo is served by the Prishtina International Airport. This airport is Kosovo's gateway to the world. Many major international airliners serve Prishtina. For a list of airlines and their contact info, please see the official website of the Prishtina International Airport. From the airport, you may take a taxi to your arranged hotel accommodation in Prishtina. The trip takes about 30 minutes and the average fare is about €25.00. There are plenty of taxi companies at the airport that can offer you a ride to the city 24 hrs a day. Participants from the neighboring countries can also use ground transportation to come to Prishtina. There are regular bus lines connecting Prishtina to all capitals of its neighboring countries. Please check with your local bus station for particulars on routes and fares. You may also drive to Prishtina. However, please make sure that your car has proper insurance and that you are in possession of a valid driver's license. Kosovo does not require entry visas for citizens of European countries or its neighboring countries. There is also a visa waiver treaty in effect between Kosovo and Turkey. Visas are also not required for citizens of the United States and Canada. Citizens of other countries, however, may be required to have a visa to enter Kosovo. Entry visas are usually given at the point of entry by the Kosovo Border Police. If you are not sure whether you need a visa or not, please contact us. 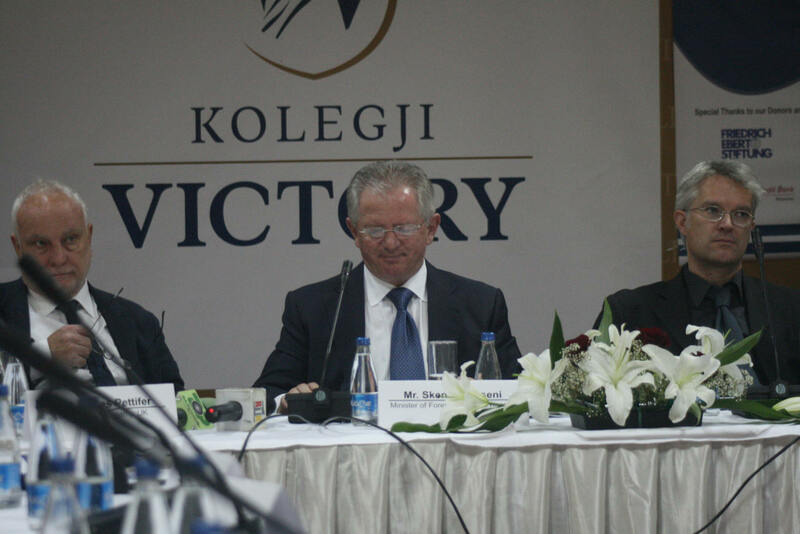 We have arranged for discount accommodation rates with Hotel Victory, one of the most prestigious hotels in Prishtina. Conference participants wishing to stay at Hotel Victory are encouraged to contact us well in advance to make their booking. You are of course free to choose your own accommodation. Organized local transportation from Hotel Victory to the conference venue will be provided for conference participants. Alternative local transportation for conference participants staying at other hotels may also be arranged. All our guests staying at Hotel Victory will be provided a rich buffet breakfast of a luxurious hotel, included in their rate. We will provide lunch and coffee/refreshments at the conference venue during the two days of conference proceedings. We will also provide one formal dinner for all conference presenters on the evening of June 26. At this point, we are not in a position to provide any financial support to our conference presenters. If additional sponsors come forth in supporting the conference, adequate announcements will be made on this page. Nevertheless, we are thankful to our current sponsors for supporting the conference and lowering your participation cost by offering discount rate hotel accommodation, free local transportation, free lunches and refreshments during the conference, and one free formal dinner.